Teak bench is most preferable furniture if you have leisure time in the park. Since benches are able to engender a feeling of relaxing and enjoying the time. Why benches? Not chair or sofa? Bench load more people in the same time thus it has, of course, more economical value either more practical as you do not have to provide many of outdoors when having barbeque party. Commonly benches made of wood especially hardwood material as this material is perfect for outdoors. However it is made of other material such as metal, stone or synthetic materials. 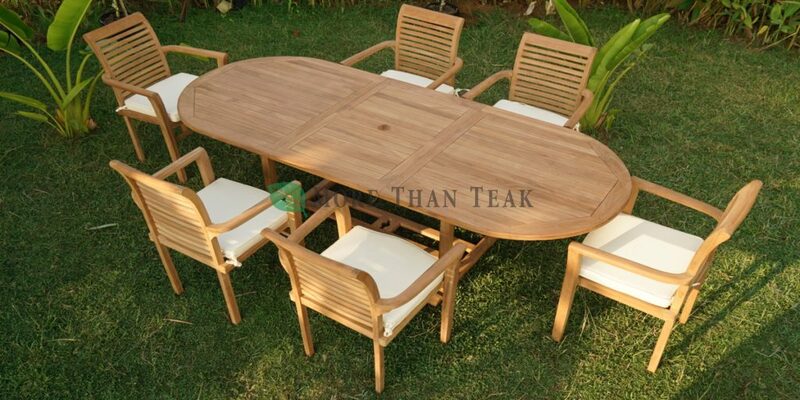 A furniture manufacturer, MoreThanTeak, present wide ranges of this garden furniture. Ranging from banana bench, garden bench, java bench, small slat bench, marlboro bench, half moon, peanut, also swing bench. These teak bench will enhance your garden, backyard either patio. The collection available in simple and distinctive design, some of them have arm and back rest, some others have back rest without arm. For instance this picture in the left which is distinctively designed. This teak bench model is suitable for Public Park or Central Square in the downtown. Otherwise, even it is not common, benches can use as indoors. You can put it in the living room or foyer, and do not forget to add cushions and pillow with colorful upholstery. This entry was posted in article and tagged Teak Bench: Perfect Garden Furniture.